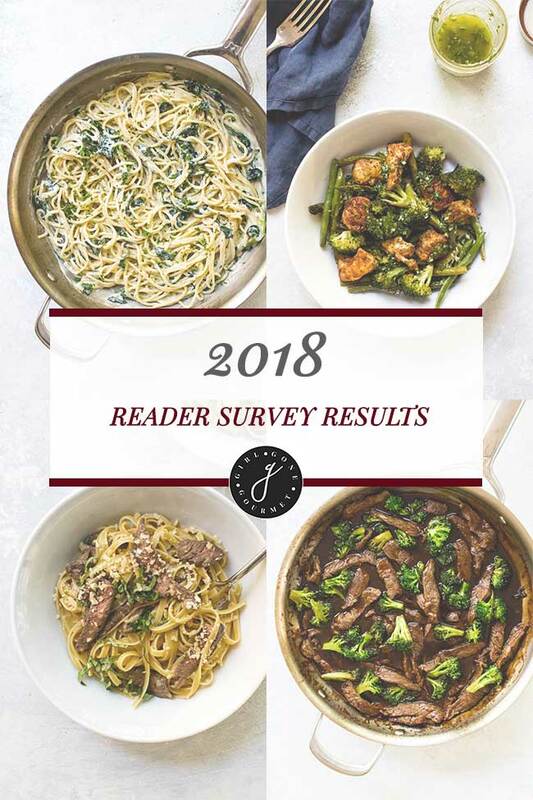 2018 Girl Gone Gourmet Reader Survey: The Results! In May 2018 Girl Gone Gourmet email subscribers were given the opportunity to provide feedback about this site. These are the results and, based on what they told me in the survey, what you can expect to see more of (or in some cases) less of on this site moving forward. 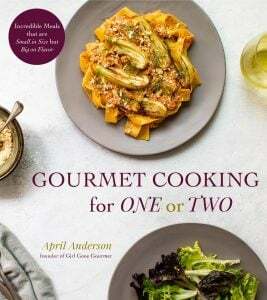 Interested in subscribing to Girl Gone Gourmet? Click the bar at the top of this page to sign-up! When you do something twice in a row does that mean it’s a tradition? I’m thinking yes, because after the second annual Girl Gone Gourmet reader survey I’m pretty sure it’s a tradition to ask you to share your feedback with me. The survey is so valuable because the feedback helps me shape the direction I take this site. So, here’s a review based on your survey answers, of what you’ll see more of (and in some cases, less of) on Girl Gone Gourmet. Survey Question: How Many People Do You Cook For? For years, I felt compelled to write recipes for four or more people. It seemed the right thing to do even though I mostly cook for myself or one other person in my real life. Last year, in the first annual survey, I asked this question and almost 75% of respondents said they cook for themselves or for two. So, I started sharing more recipes for two and set up a new category to make it easy to find those recipes. But, the majority of the recipes I shared were still for four or more people. This year, almost 85% of you told me you’re cooking just for one or two and so I think it’s time to focus primarily on smaller-batch recipes. I, for one, hate eating the same thing day after day – a downside of making bigger recipes when you only serve a couple people – and maybe you do, too? 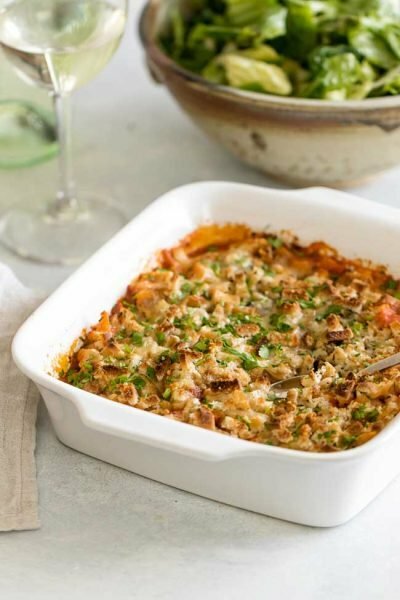 You’ll still see some bigger batch recipes for meals that keep well in the fridge or freezer but for the most part, I will share scaled-down recipes. I’m excited to take this step and I wouldn’t have if it weren’t for your feedback. Survey Question: How Often Do You Cook? Of all the questions I asked the results of this one surprised me the most. I hear a lot these days that people don’t cook as much as they used to. Grocery stores have whole sections of pre-made dishes people can buy and reheat at home. Meal-in-a-box delivery kits, with pre-prepped ingredients, are popular. Restaurants, where I live, are packed most nights of the week. So, when I included this question I assumed the answer would be 1 to 2 nights a week. Maybe 3 to 4. Boy, I was wrong. The majority of you are cooking five or more nights a week! Oh, this makes me so happy and tells me two things: 1) you value a homecooked meal and 2) you’re always looking for new dinner ideas. Survey Question: What Types of Recipes Interest You the Most? 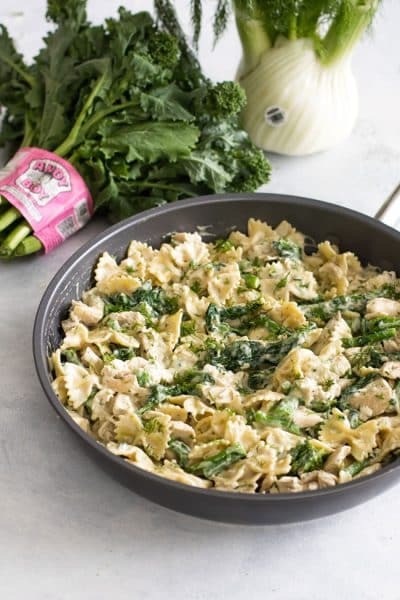 When you cook five or more nights a week having quick, easy, and delicious recipes makes getting dinner on the table a whole lot easier. I will admit, after nine years writing this blog, that I’ve tended to favor more complicated “weekend cooking project” type recipes in the past and it’s only been in the last few years or so that I’ve embraced a simpler way of cooking that makes weekday dinners easier to execute. 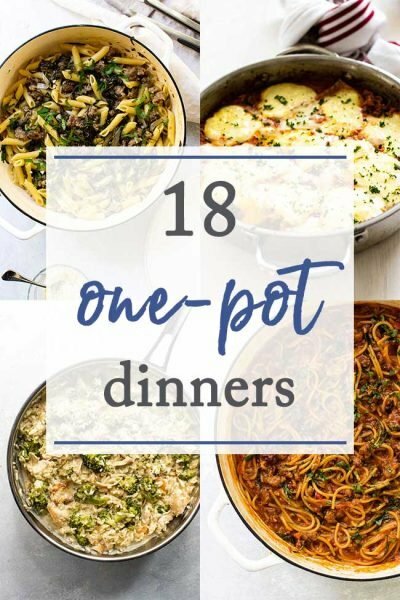 When I look at the most popular recipes on the blog they match what I heard loud and clear from you in the survey: easy dinners like one-pot, one-pan, and 30-minute recipes are what you want to see most of the time. 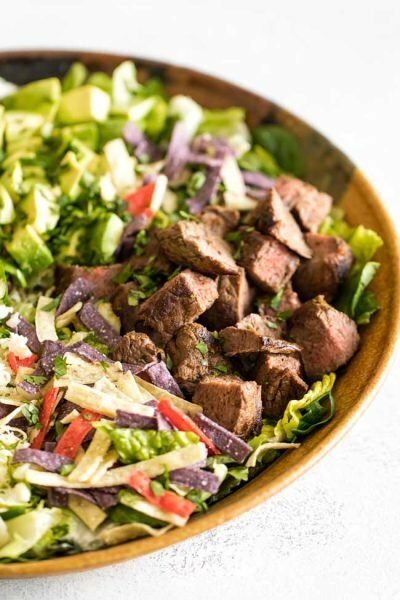 And closely following easy dinner recipes you told me you’d like to see healthy recipes. This is a tricky one for me. On one hand, I want to provide nutrition estimates so you can see plainly the main nutritional components of each recipe. Many of you shared with me that you appreciate this information because of dietary and health concerns. On the other hand, I believe in real butter, cheese, healthy fats and other wholesome ingredients. 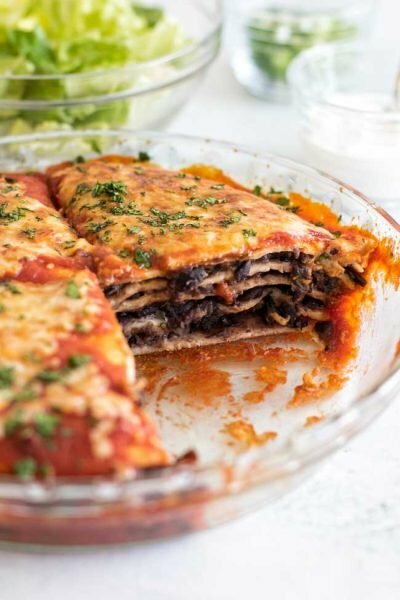 That said, since last year I’ve worked to find a balance in sharing what I like to call “responsible” recipes – ones that are reasonable in their calorie counts and other nutritional components – with “treat yourself” decadent recipes. Based on your feedback, we’re on the same page: let’s be responsible most of the time with some decadent treats every so often. However, I need to point out that while I provide basic nutritional information I’m not a nutritionist. You should always consult a medical or nutritional expert for dietary advice. When I follow a recipe for dinner I appreciate when all of the components of the dish are in the same recipe. No flipping around to different recipes for the main and side dish. You told me the same in the survey and while I can’t promise every recipe will follow this format, I plan to share more “complete” dinner recipes that include both the main course and a side dish that align with the goal of making it easy to get dinner on the table. … thank you, thank you, thank you for your feedback. While the survey was just six questions I was able to extract a wealth of information from both your answers and your comments. I hope you’re as excited as I am about the direction we’re taking this year! Always know I am here if you have questions or want to share more feedback – you don’t need to wait for the next survey to let me know what you’re thinking. Leave a comment below or Contact me anytime.